OK, Google: What were Russian and U.S. internet users looking for in 2014? 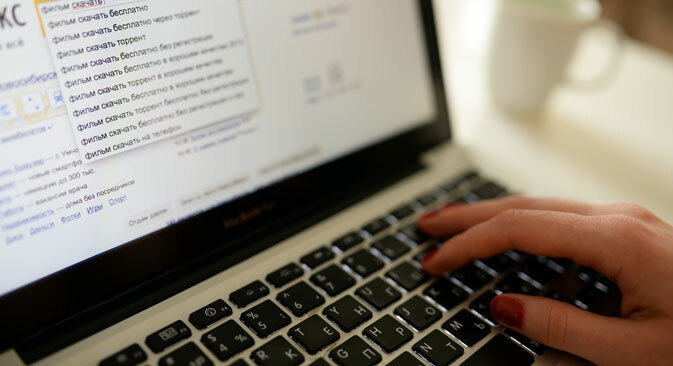 Russia’s internet giant Yandex and Google have published details of the most common internet search terms of 2014. Which questions did Russians and Americans ask search engines most often, which celebrities were popular among web users and which global events sparked people’s curiosity the most? In the middle of December, Russian internet search engine Yandex published a study that analyzed users' queries to learn which people, events and phenomena stirred their interest the most in 2014. The Winter Olympics in Sochi came in first, followed by the events in Ukraine and Crimea, the Ebola epidemic, the change to wintertime (this fall Russia switched to "eternal" wintertime), the growth of the dollar against the ruble, which lasted all year (although the study was published before "Black Tuesday" in which the ruble lost a quarter of its value to the dollar), the July 15 accident on the Moscow metro, the arrival of the Gifts of the Magi in Moscow from Greece on Jan. 7 and celebrity photographs published by hackers. Besides the Olympics and the Paralympics, the most popular sports competitions were the FIFA World Cup and the Ice Hockey World Championships, in particular the U.S.-Russia (Feb. 15) and Russia-Finland (Feb. 19) hockey matches and the Brazil-Germany (July 8), Russia-Algeria (July 26) and Russia-South Korea (July 17) soccer matches. The people searched for most often online were transvestite Eurovision winner Conchita Wurst and the Russian singer Jeanna Friske, who was treated for cancer this year at a New York clinic. Among the women, Olympic champion Adelina Sotnikova and Yulia Lipnitskaya were the most sought after, while among the men were the late Robin Williams, figure skater Yevgeni Plushenko and Viktor Ahn, the Korean skater who won two Olympic golds and a bronze with the Russian national team. Former Ukrainian President Viktor Yanukovich and his successor Petro Poroshenko also made the list. The top film in Russian web searches this year was How to Train Your Dragon 2, followed by Dawn of the Planet of the Apes and Transformers: Age of Extinction. Russian feature-length films did not even make it into the top 10; however, users frequently searched for Russian TV series, among which were Physruk (about a physical education teacher who has connections to a powerful criminal gang), Chernobyl: the Zone of Alienation and Smile of a Mockingbird, about an independent woman forging success. Among foreign TV series frequently searched for online were Game of Thrones, The Vampire Diaries, The Walking Dead, American Horror Story, The Untold History of the United States and the British series Sherlock. The most eagerly awaited novelties this year were the iPhone6, the Russian Lada Vesta car, the Samsung Galaxy S5 and the latest version of the "World of Tanks" online game. According to Google Trends, the most popular queries in the U.S. were those for Robin Williams, the soccer World Cup in Brazil, the Ebola epidemic, the investigation into the crash of the Malaysian airliner near Donetsk, the Flappy Bird mobile phone game, the Ice Bucket Challenge, the fight against ISIS Islamic radicals, the racial unrest in Ferguson, Missouri, the animation film Frozen and the events in Ukraine. The most popular people were actors Jennifer Lawrence, Jared Leto and American footballer Ray Rice, while the most popular TV series, like in Russia, was Game of Thrones. American movie preferences were different, however, with the films most often entered in search queries being Interstellar, Divergent, Gone Girl and Lone Survivor. What questions did users ask search engines about? Google also analyzed the questions that users on both sides of the Atlantic asked this year. In most cases Americans asked practical questions: How to get rid of acne? How many calories are in a banana? What are the Ebola symptoms? What is Bitcoin? In turn, the questions Russians usually asked Google were sometimes of a more philosophical nature: How to be a man? How to become a queen? How to paint eggs? (we have infographics, just in case) How to earn a bitcoin? (unfortunately, it’s already banned in Russia). And what did you look for most often in the Internet this year?